Computers that work like the human brain are seen as one of the most promising ways we can achieve actual artificial intelligence. To create that, scientists are currently tapping the power of memristors, electrical components with surprising qualities . Researchers have come another step closer to realizing the true potential of memristors. 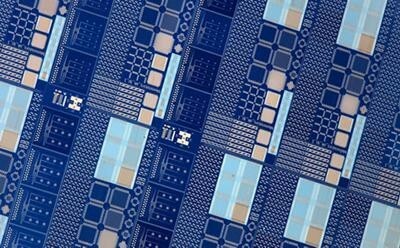 A team led by the University of Southampton has demonstrated that these electrical components can power an actual neural network . Memristors are components with the surprising ability to remember their previous resistance, even if the device has been turned off. They show properties of real synapses, capable of memory storage, on-line learning, computationally powerful learning rule implementation, and a two-terminal structure. Now, the research has shown that memristors can act as multi-state synapses. “[T]he metal-oxide memristor array was capable of learning and re-learning input patterns in an unsupervised manner within a probabilistic winner-take-all (WTA) network,” says a statement on the development. That “unsupervised manner” means that the hardware was able to adapt to its environment without any human intervention, the memristor array can process even noisy data reliably, and in real-time. The basis of any brain is the neural connections it can make, and that is true even for an artificial one. The power of any brain emulating computer will be the artificial synapses we are currently developing— and key to that will be these memristors. “Whilst currently available electronic components can certainly be pieced together to create such synapses, the required power and area efficiency benchmarks will be extremely difficult to meet -if even possible at all- without designing new and bespoke ‘synapse components’,” says the statement. One day, these devices will not only connect with each other but also understand and adapt to the things around them.